Studies indicate that employee turnover costs anywhere from 12 to 40 percent of a company’s pretax income, making turnover a critical issue for executives in all industries. Turnover is especially important in poor economies, since those who voluntarily leave their jobs are likely to be top performers. 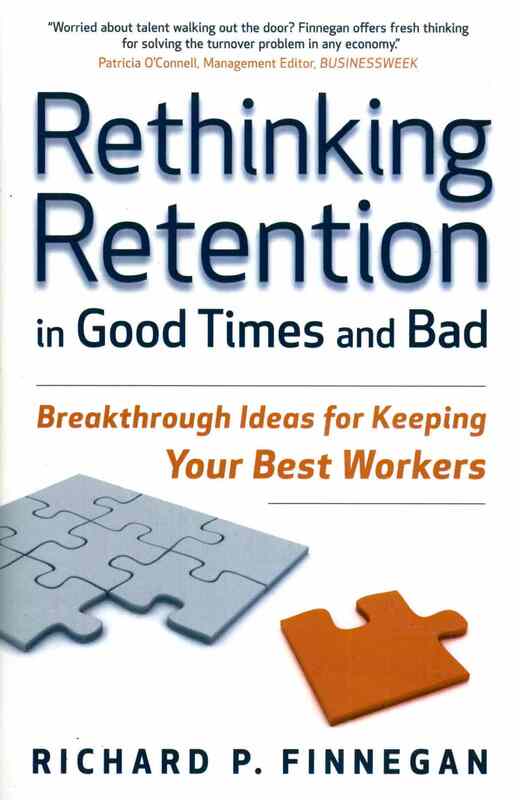 In Rethinking Retention in Good Times and Bad, author Richard Finnegan presents a practical new model that can help businesses of all kinds hold onto their best workers. For a free trial of EBSCO Business Book Summaries click here. It’s spring, and that means ASTD 2010 is upon us. The ASTD annual conference provides a forum in which training and development professionals can network with one another and meet vendors in the corporate learning space. This year the conference will be held in Chicago. There will be over 230 educational sessions led by experts in the training and development industry, as well as an EXPO where attendees can interact with over 200 exhibitors. EBSCO Publishing will be exhibiting from booth 833. We welcome everyone to stop by and view our corporate offerings, and we will be happy to answer any questions. The following is the conference schedule. For more information visit www.astdconference.org. I think a lot of business professionals today view social media as a way for college kids to update their friends and the world on all the minutiae of their lives. While it can be used for such trivial matters, social media is also a very powerful networking and learning tool. Social media allows professionals and experts to connect with others and share ideas. It can be a powerful collaborative tool when used appropriately, and companies are now harnessing the power of social media to promote, reinforce, and drive their learning initiatives. When companies make collaborative learning an integral part of their daily business, employees are more likely to succeed because there is a support structure built into the learning process. For anyone interested in finding out more about collaborative learning and the role of social media in learning initiatives, Chief Learning Officer magazine is hosting a webinar tomorrow at 2:00 EST titled “Enterprise Collaboration: Can You Connect Social Learning and Business Performance?” The webinar is for companies that either already implement social media in their learning strategy or plan to at some point in the future. If interested you can register for the webinar here. When it comes to performance development, many leaders are happy to accept work that is merely “satisfactory.” But what if each employee could be developed into an exemplary performer, executing their duties at a level significantly above organizational standards? Though this is a realistic and attainable goal, many companies have looked to ineffective generalized training as the only solution to lagging performance. 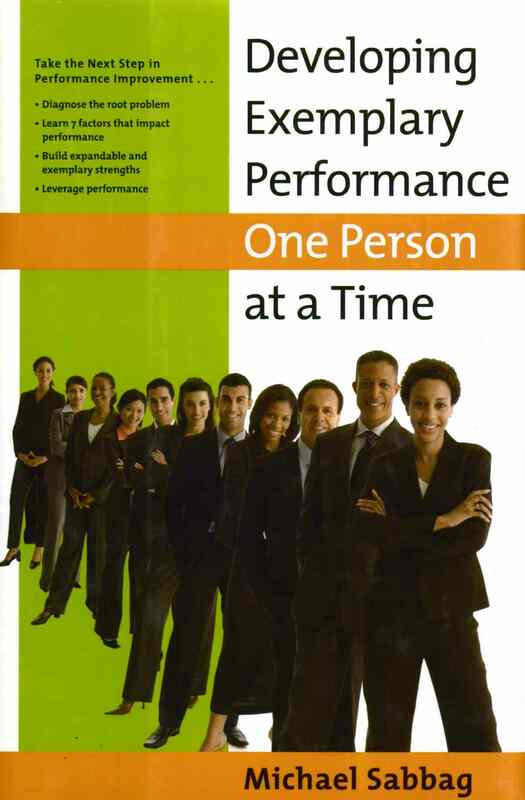 In Developing Exemplary Performance One Person at a Time, Michael Sabbag lays out the case for individualized performance development, based on the unique strengths and weaknesses of each employee. He does this through his Exemplary Performance Model, a step-by-step approach which encourages employees and leaders to seek out specific performance constraints, and leverage the powerful techniques used by exemplary performers throughout a given industry.